Order in the next 3 hours, 58 minutes and 17 seconds for same day shipping. Ideal if you need more space! On the self-inking Printy 4928, you can create a customised text plate with up to 7 lines and also add a required logo. The impression has a maximum size of 1 5/16" x 2 3/8" (33 x 60 mm), which offers plenty of space for your address, contact information, email and/or website. This versatile stamp is commonly used at home, but also widely liked for office applications. Suitable replacement pads 6/4928 are available in black, blue, red, green or violet. They are packed in a convenient blister of 3 pieces. 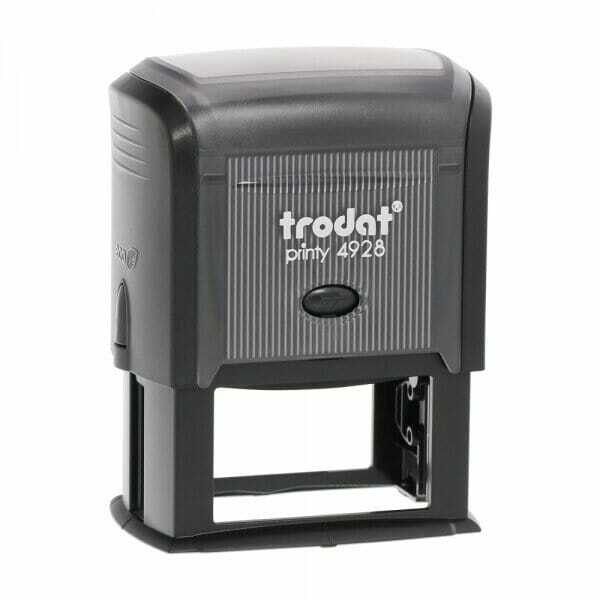 Customer evaluation for "Trodat Printy 4928 1 5/16" x 2 3/8" - 7 lines"